"Student Union renovations start soon; Make way for Starbucks, Chick-fil-A"
The renovation of the Nebraskan Student Union at the University of Nebraska at Kearney (UNK) is planned to start December 7, 2017, with the second phase beginning in spring 2018. The entire project should be completed by the time classes start in fall 2018. 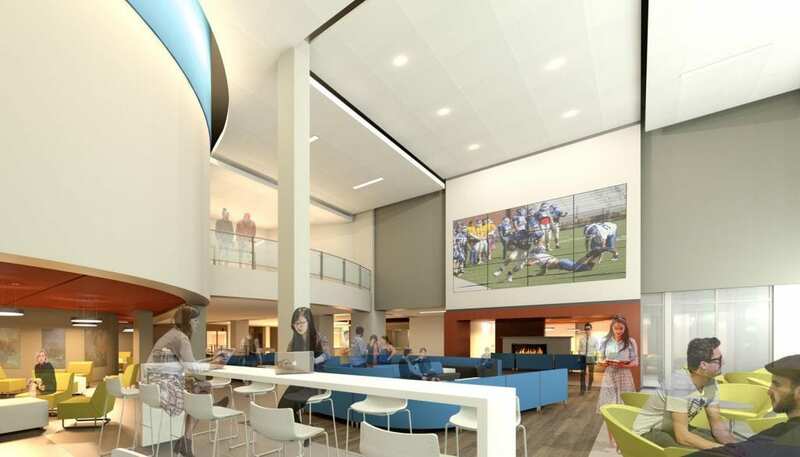 The $6 million project is being designed by Schemmer and will provide the 55-year-old building with upgrades to interior finishes and furniture, provide more open spaces with better sightlines and a more connected student space, improve HVAC, lighting and sewer systems. "The project is large enough it could not be completed within summer break," said Scott Benson, director of business services at UNK. "We decided to get the project started as soon as possible so students would have access to brand name locations they have been requesting as soon as they return in the fall semester." Two restaurants and a coffee shop have closed permanently to allow for construction to begin. A new Chick-fil-A and full-scale Starbucks will replace them in summer 2018. Schemmer provided Architectural Design, Interior Design, Electrical and Mechanical Engineering services for the project. To see the UNK Student Union project, click here.